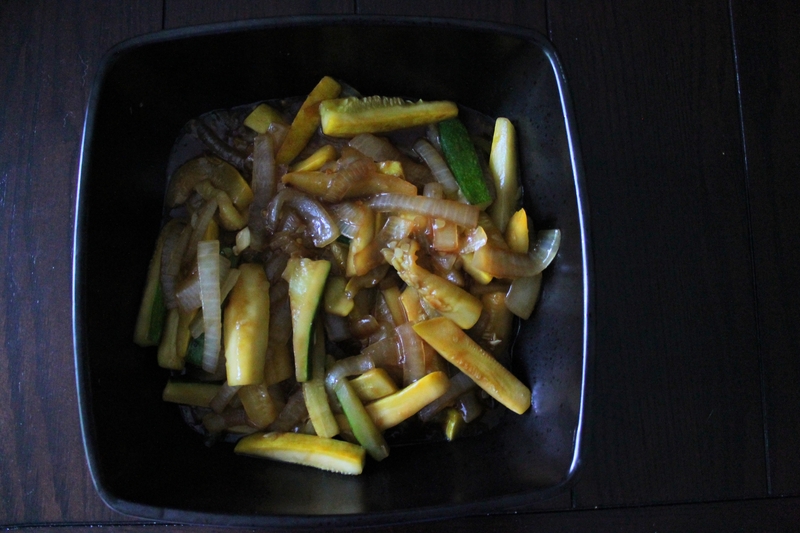 Summer squash are still abundant around here! We have had lots of delicious dishes, like fresh spaghetti with shredded pattypan squash and parmesan, red curry squash and snap peas, and this light and pretty squash ribbon salad! I love this salad because it is so fresh. With a barely-there dressing and a sprinkle of cheese and chives, it comes together quickly and just sings summer! CSA week 8 brought some surprises! Swiss chard, for one. I thought that was just a spring treat, but here was a beautiful, purple-leaved bunch staring up at me! This week’s box also contained four cukes (augh! ), a pattypan squash, peaches, two heads of garlic, a baby dill plant, and about a pound and a half of green beans. I quickly pondered my new bounty. Should I make a gratin? Pasta? Suddenly I knew that pizza was the way to go. And with a quick Google search, I was off! This pizza takes patience, for sure. 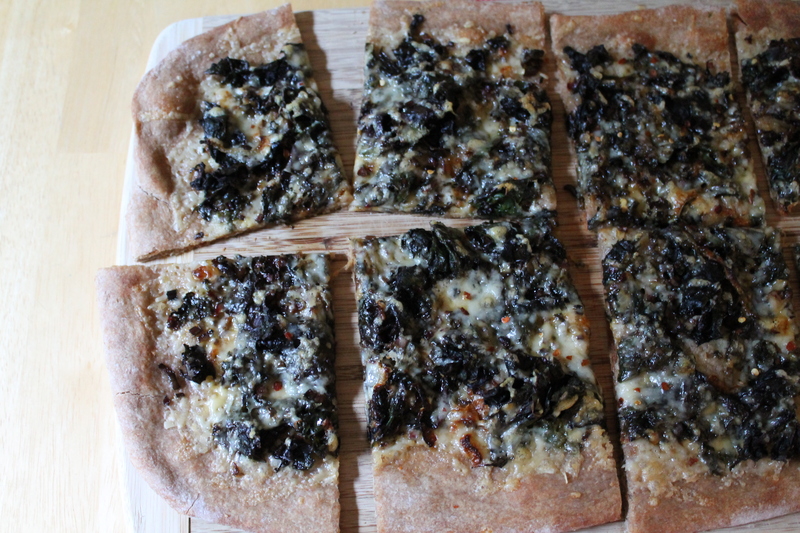 Caramelizing onions takes ages, and slicing all those chard stems? Forget about it. But the effort is so worth the end product! Swiss flavors on a crispy crust…what could be better? Day 3 of working through cucumbers like they are going out of style. Which, of course, they aren’t. Because there are still 6 of them in my fridge. Eek! But this combination is one I will be returning to over and over, even when I am not desperate to put an end to a plague of cucumbers. Tangy, herby tzatziki sauce is so easy to make—and much healthier than I realized! It’s full of protein from Greek yogurt, vitamins from the cucumbers and herbs, and just a smidge of heart-healthy olive oil. Gotta love the Greeks! 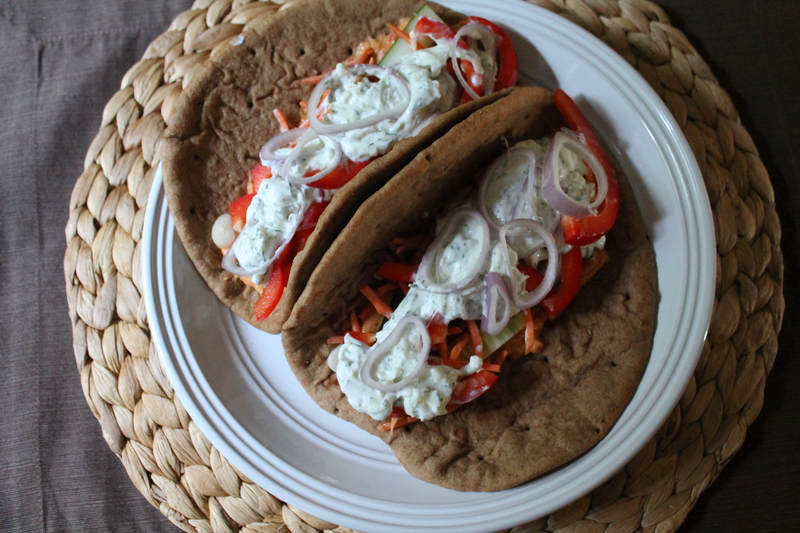 Combined with hummus and a fistful of fresh chopped veggies, this vegetarian wrap (these only vaguely resemble proper gyros…but I like the name anyway) is nutritious and amazing. And delicious! The most important quality. My carnivore husband has requested that I bring this meal back, and called it an excellent compromise between his culinary wishes and mine. That might sound like a mouthful, but I promise you, it was high praise! It’s day 2 of my quest to excise the fridge of all the cucumbers. With a cucumber salad! This salad is so easy! All it takes is the patience to slice the cucumbers. Serve this salad with some teriyaki vegetables (or chicken, if you are so inclined) and steamed rice. The light, crisp dressing and the bright flavor of the cukes will complement the heavy, bold flavor of the teriyaki well! 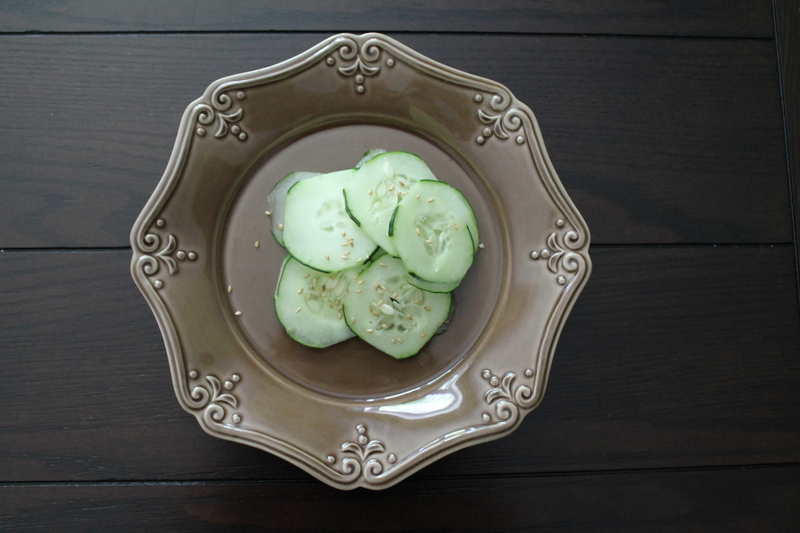 When we first started getting cucumbers in our CSA box, I thought maybe I could ignore them. I have never really liked cucumbers (am I the only one who thinks they taste odd and somewhat bitter? ), and I can count on one hand the number of times I have bought one on purpose. But ignoring them turned out to be a terrible strategy…they just kept multiplying. Each week for the last four weeks, the CSA box has been incredibly heavy…full of pounds and pounds of cucumbers! I tried giving them away. But seriously, how many people are suffering from a shortage of enormous cucumbers? That barely made a dent. So, it’s time to get serious! 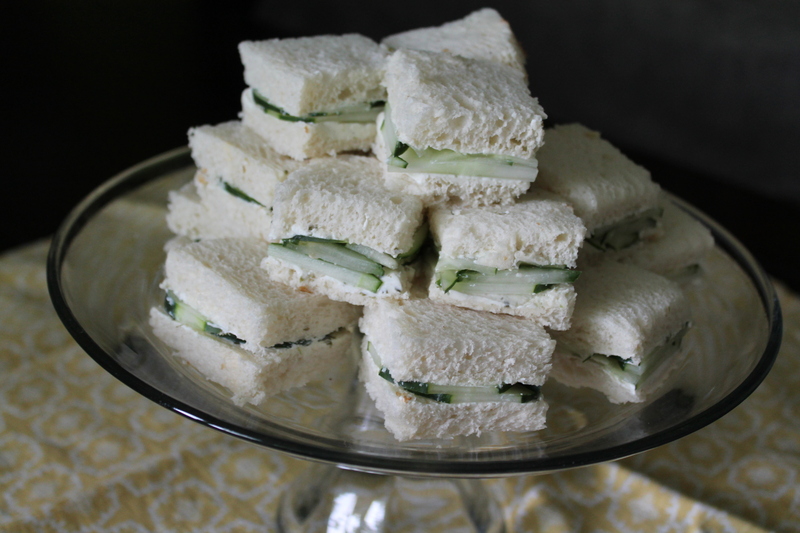 My friend Sarah (who, bless her, did take a cucumber off my hands) suggested tea sandwiches. She made the first round herself, to convince me. And I must admit, they weren’t half bad! 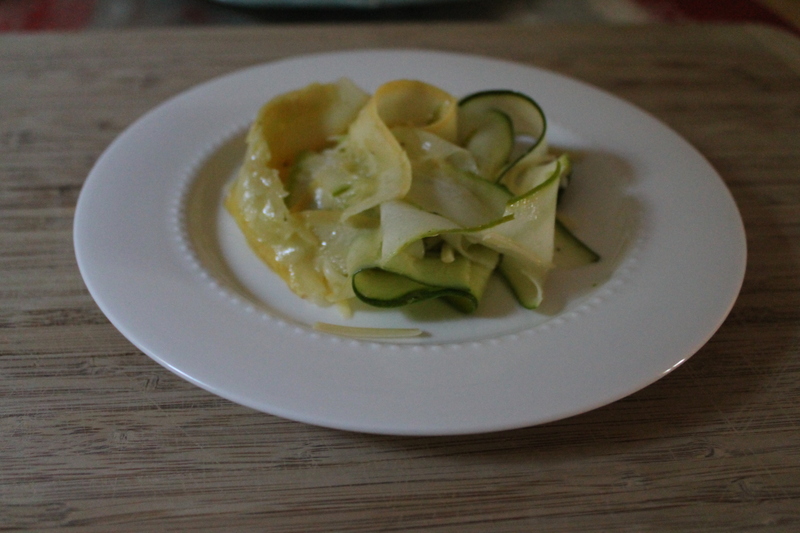 I loved the way the sharp, fresh chives accented the cucumbers and brought a little life to this old classic. I’ve heard that peaches and cream are a pretty classic combination. Not that I would ever eat it. 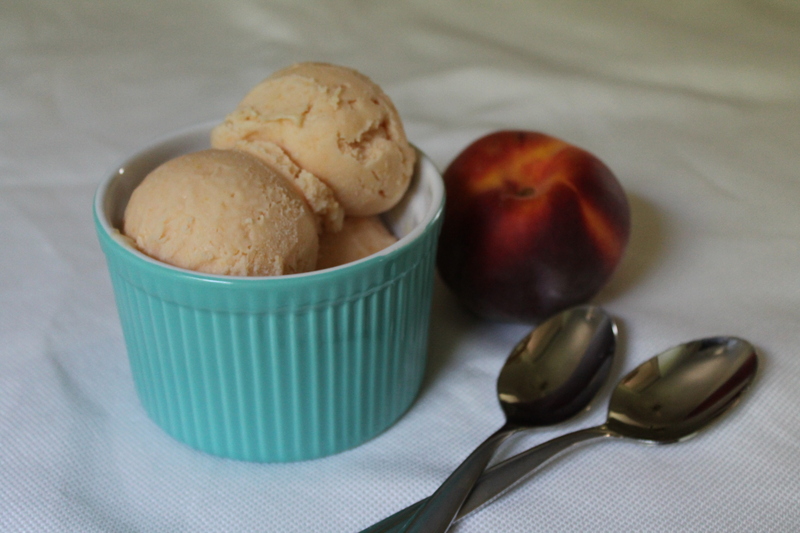 But when we started getting peaches in our CSA, I knew I wanted to try to make peach ice cream! This recipe is amazing because of its simplicity. No eggs! So no pesky tempering and straining. Just cook the peaches until soft, add sugar, and puree with cream and—!! !—sour cream! I thought the sour cream would be a great complement to the sweetness of the fruit, maybe adding a slightly tart bite. This ice cream is pretty and fresh and so easy! You should make some right away. Oh my gosh! So much squash. The first week squash started rolling in from my CSA share, there were just 3, and I was disappointed. We have to use up some of this squash, or else it might stage a takeover inside the fridge. Yikes! 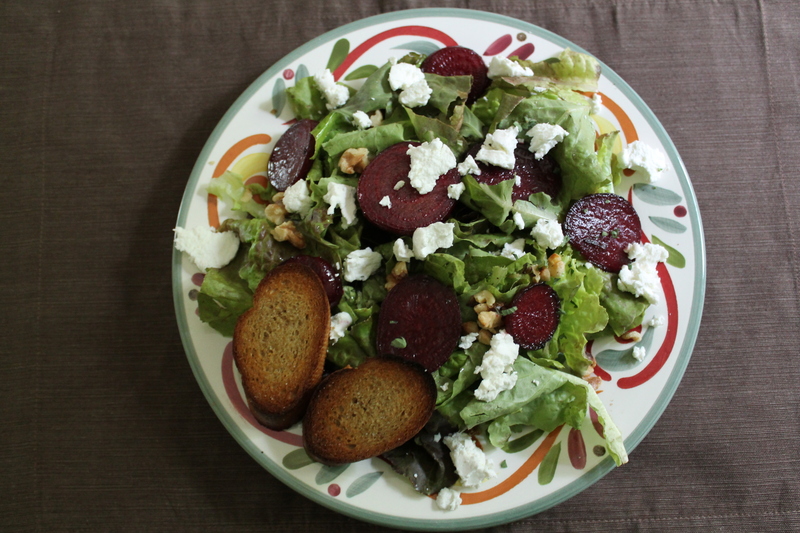 So…we’ve been getting a ton of beets from our CSA. In week 6, we also received peaches, snap peas, about a million squashes (yikes! ), young broccoli, and a beautiful head of lettuce. Remember how sad I was that greens season was over? When I saw that lettuce nestled in the corner of my box, I immediately had visions of salads dancing in my head. This salad is amazing and really easy. But cooking beets takes forever. Don’t let that stop you! Any excuse to cover your entire plate (a formerly healthy, low-fat plate piled high with greens, veg, and nuts…) in rich, crumbly chèvre should be welcome. Grab a beet and let’s eat! Sometimes I am reminded what a picky eater I am. Don’t get me wrong, I have come a long way from my childhood. There was a time when the only things I was willing to eat were cottage cheese and Cheerios (not together). There was a time when the mere sight of a mushroom made me gag. This is one of the things that makes the Secret Recipe Club so interesting, though: each month I get to tackle a new blog, and in many cases, I must emerge from my picky-eater armor and contemplate a collection of recipes full of things I normally don’t go for. Take miso, for example. I don’t like miso soup. And since I have no problem with seaweed wrapped around my sushi, and I am somewhat tolerant of tofu, I just assumed that it was the miso-ness I didn’t like. This glaze was delicious! Miso, which is fermented soy bean paste, does taste a bit like soy sauce (though not nearly as salty). 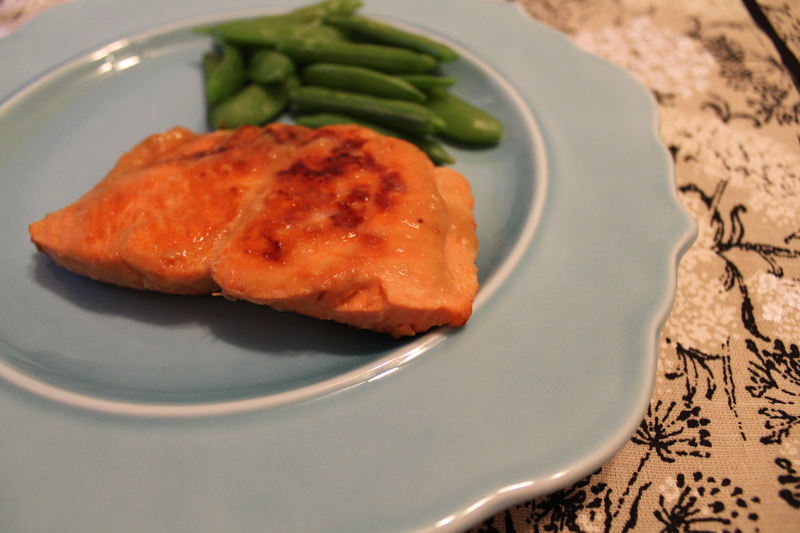 Combined with freshly grated ginger and a large drizzle of honey, it tasted just divine on top of wild-caught Alaskan salmon. Yum. It’s one of my favorite times of the year: National Ice Cream Month! 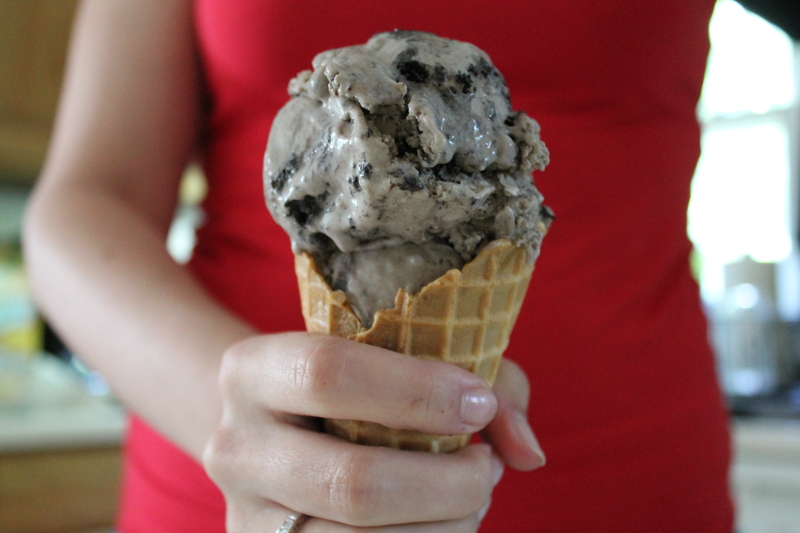 I am celebrating with some delicious, dreamy ice cream, chock full of Oreo cookies. Because what could be better on a sweltering summer day than a nice, big, dripping ice cream cone? Nothing, I think.